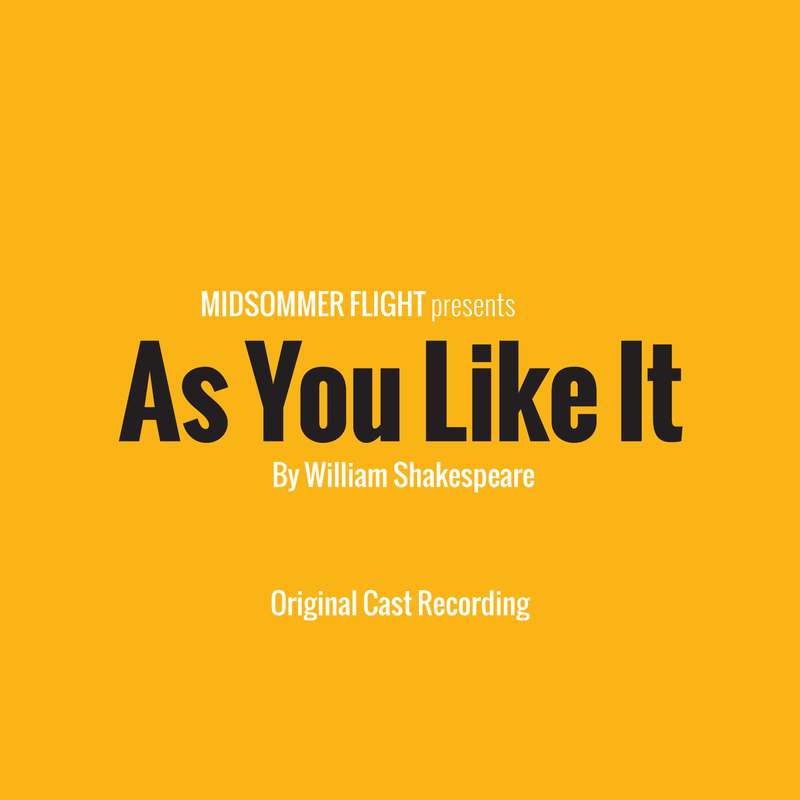 The As You Like It Original Cast Recording is now available! All music composed by Elizabeth Rentfro, with additional arrangement by Erick Rivera. Additional instrumentation also by Adam Gianforte, Maggie Miller, Ian Michael Minh, and Shane Roberie. The lyrics are all Shakespeare’s. Midsommer Flight’s outdoor summer production of As You Like It runs from July 9 – August 28, 2016, touring to four Chicago parks. Special thanks to the Chicago Park District and all CPD Staff. Midsommer Flight is a not-for-profit theatre company dedicated to presenting high quality, accessible productions of Shakespeare’s plays in Chicago communities. The company has produced free Shakespeare in the park since 2012 in Chicago neighborhoods, performing to large crowds and growing each year. In 2015, the company also expanded its programming to present an indoor holiday production of Twelfth Night inside the Lincoln Park Conservatory, an iconic greenhouse located in the heart of the city. This album contains the original music, set to Shakespeare’s words, composed for the company’s summer 2016 production in Chicago parks. © and ℗ 2016 Midsommer Flight. All rights reserved.